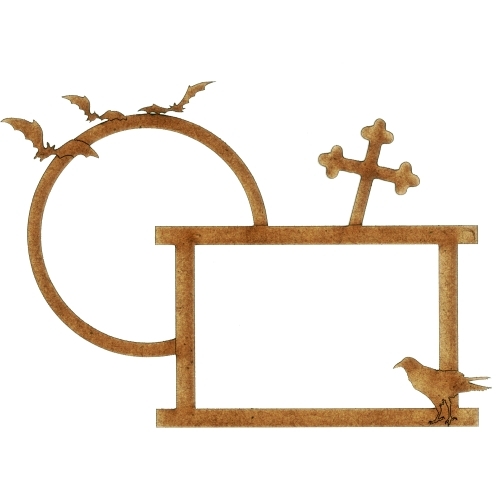 Halloween themed multi frame comes with 2 shaped frames featuring a tomb, full moon, a raven and flying bats! 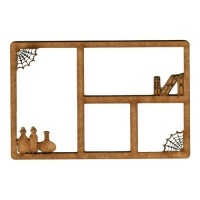 This design comes with intricate cut out detailing and makes an ideal focal point on journal and book covers, plaques, boxes, cards or scrapbook layouts - works on any flat surface. 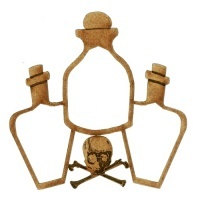 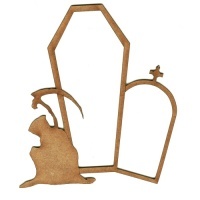 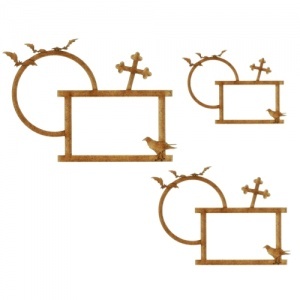 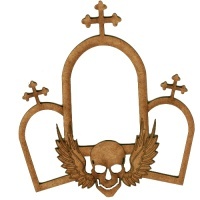 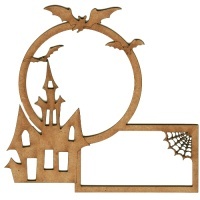 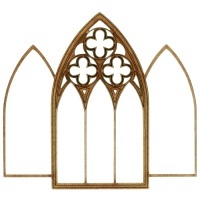 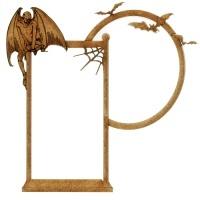 Raven in Graveyard multi frame wood shape is laser cut from 2mm MDF and is available in 4 sizes to accommodate most projects - select your choice from the options above.